Tucked away in The Guardian supplement G2 this week was a fascinating article on how the media has long sensationalised abortion. 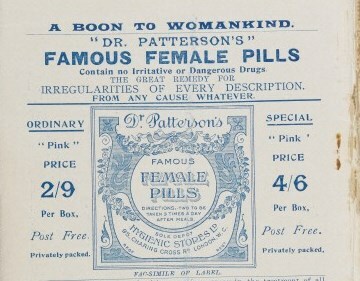 The writer, Kate Manning, argued that “Victorian coverage set the tone” and looked at the ways in which the nineteenth-century press (like some of its modern-day counterparts) demonised abortion and abortionists – even those who seemed to have provided relatively safe and effective care. Manning’s article encouraged me to delve a little further into the history of nineteenth-century abortions. It’s one of those topics that fascinates me precisely because it’s been so long obscured from the pages of popular history and literature. "... so the petroleuse [female incendiary] lurks behind the New Woman, waiting for the appropriate historical conditions before she emerges from her shadow" (Matthew Beaumont). Call for Papers for Fifty Years of Sexism: What Next?